Hello. I m Dave Kerzner, owner of Sonic Reality and co-founder of eSoundz.com. We ve got some exciting new products coming in the new year including new groove libraries from legendary drummers Neil Peart (Rush) and Carmine Appice (Vanilla Fudge), bass libraries with the likes of Guy Pratt (Pink Floyd) and Colin Edwin (Porcupine Tree) and more! We re also expanding our formats and focus on high quality sounds in 2015. Keep checking back at eSoundz.com for the latest in sounds and music software from partners like IK Multimedia. 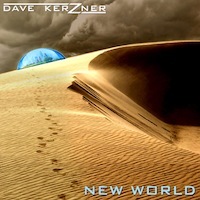 "New World is a spellbinding modern progressive rock collection that proves Kerzner s a solo artist to reckon with"
As many of you know, we re all musicians here and use these sounds and software products ourselves. I am very proud to present to you my first album as a solo artist since parting ways with the band "Sound of Contact". 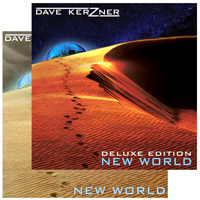 It s called "Dave Kerzner - New World" and it features a variety of great musical guests including Steve Hackett (Genesis), Keith Emerson (ELP... from an upcoming Modular Moog sample library! ), Francis Dunnery (It Bites), Durga McBroom (Pink Floyd), Nick D Virgilio(Tears for Fears... we also have sample libraries with Nick right here on eSoundz) and many others who are listed on the individual product pages. If you re into Progressive and Classic Rock and you d also like to hear products likeSerafine FX Tron, Cinema Sessions, IK Total Workstation, Nick Mason Drums, Hugh Padgham Big Fill Kit and more in action, then I invite you to check out my album. It s streaming in full and available to purchase just as a download fromBandCamp (and it s also available oniTunes, Amazon, GooglePlay and more). The CD version, which also comes with a high quality download, is available from eSoundz.com on the links below. In addition to the 78 minute standard edition of the album, I also put together a "Deluxe Edition" which has expanded versions of the 11 songs of the album plus an additional 14 tracks all totaling over 140 minutes of music. 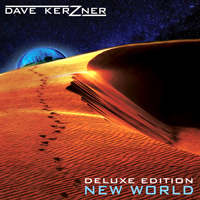 The best way to describe the Deluxe Edition is to say that it is more like the elaborate "close your eyes and imagine a big concert" version combined with lush ambient segues and cinematic interludes. Because the Standard and Deluxe Editions are so different we also offer, for a limited time, a bundle of all 3 discs that come with a high resolution 24 bit 96k download as well. All versions of the album that ship from eSoundz in the months of December and January will also come with a signed New World postcard with a thank you from me. My album was done independently and products like AmpliTube, T-RackS, SampleTank 3and Sonic Reality sounds all inside a digital audio workstation running on a computer were a huge part of it! On behalf of the entire eSoundz and Sonic Reality team I d like to wish you all a very Happy New Year!